Type AT | TROX South Africa (Pty) Ltd. The grilles type AT have horizontal aerofoil blades, with a border that is either 23 or 27mm wide. 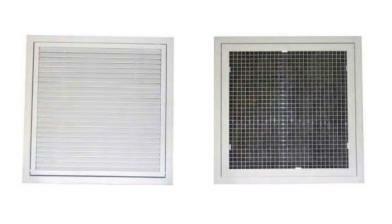 In the 27mm wide frame version, the grilles are also available with visible screw fixing (border counter punched). Available with various border widths.